Simple strategies for a happier home and more cooperative kids. For children aged 3-13. Finally, a revolutionary programme that gives you simple steps to take the daily battles out of parenting. These strategies resolve one of parents' biggest frustrations: getting your children to listen and do what you ask, the first time you ask. When children are at their best, it is easy to get along with them and enjoy them. However, when they are defiant, argumentative or disrespectful, it is easy to get wound up, to argue back, threaten, nag or shout. If this sounds like the situation in your home too much of the time, then Calmer, Easier, Happier Parenting is for you. When you use these strategies, not only will your children become more cooperative, but also more confident, self-reliant and considerate. Learning new skills like Preparing for Success, Descriptive Praise and the Never Ask Twice method can transform your relationship with your child in a short space of time and help bring the joy back into family life. 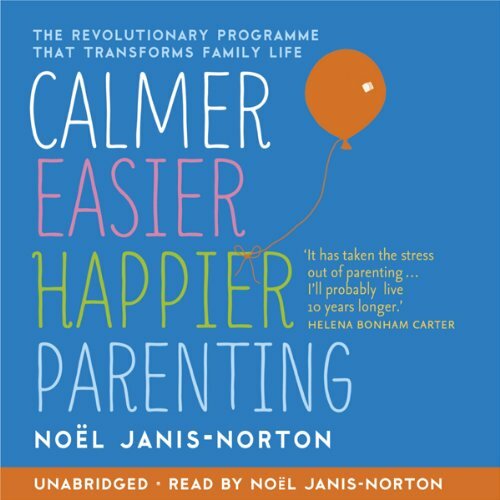 Full of examples and real stories from parents, this book gives you clear step-by-step guidance to achieve Calmer, Easier, Happier Parenting. These strategies work! I have twin toddlers. I love the advice in this book. I hope it works :). I have recommended this book to any frustrated parents I know. The actual techniqes begin in chapter 3. I love Noel's English accent and calm voice. If you do what Noel says your child will begin to listen the first time, be more independent and have a positive attitude. Our family is a lot happier now. Very important for the every day rules and tactics with your kids. It make the house much more positive and quiet.